It’s back to school, which means packed lunches, first day of school jitters and carpool arrangements. 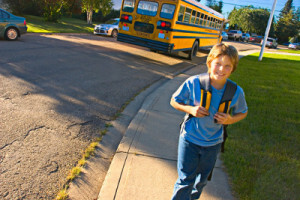 If you have a long list of to do’s, let Priority One Security check your child’s after school safety off that list! The Total Connect System is a great solution in prioritizing what matter most on your back-to-school checklist. Busy schedules can create extra stress as we wonder whether our children are safe at home. With Total Connect you can see when your kids are home, who is with them and even arm your home in case of emergency. Ability to create limited access areas – gun and liquor cabinets can remain off limits while you’re not at home, and if they are accessed you will receive a notification. A Total Connect Security System creates peace of mind for you, while not compromising your child’s safety when you’re not at home. Priority One is committed to afters chool safety and providing you with the best options to keep your loved ones safe!